There’s a lot of food challenges been created all around the world every minute. 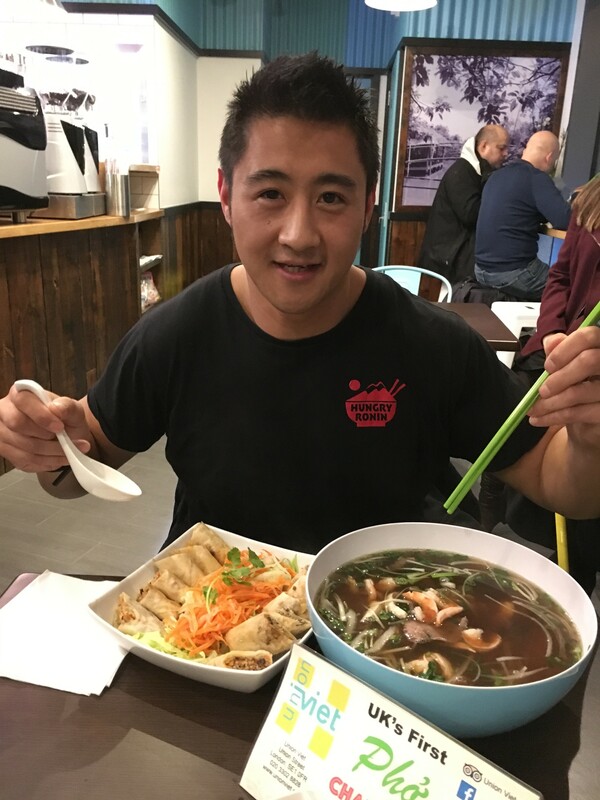 With the popularity of Man V. My good friend Hungry Ronin asked me to come along to watch him take on the UK’s first Pho challenge at Viet Union. 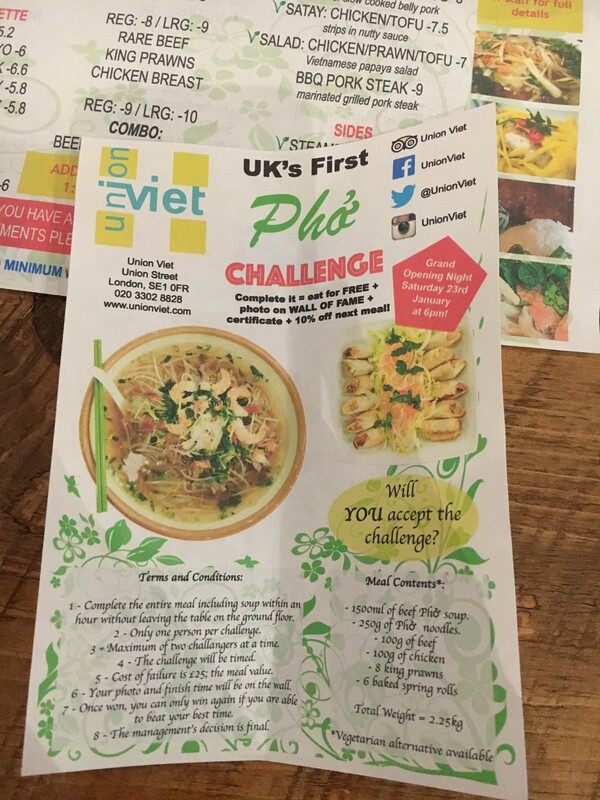 23rd of January was the grand launch for the Pho challenge. 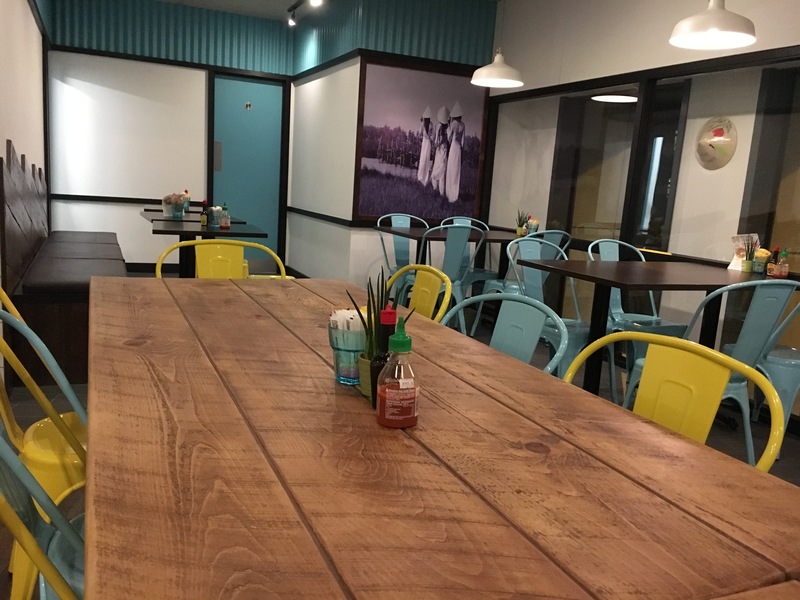 Viet Union has only been around for a few months, located in the South of London near Southwark. Each Pholympian has to be seated downstairs by the restaurant so they can be watched within the hour of the challenge. 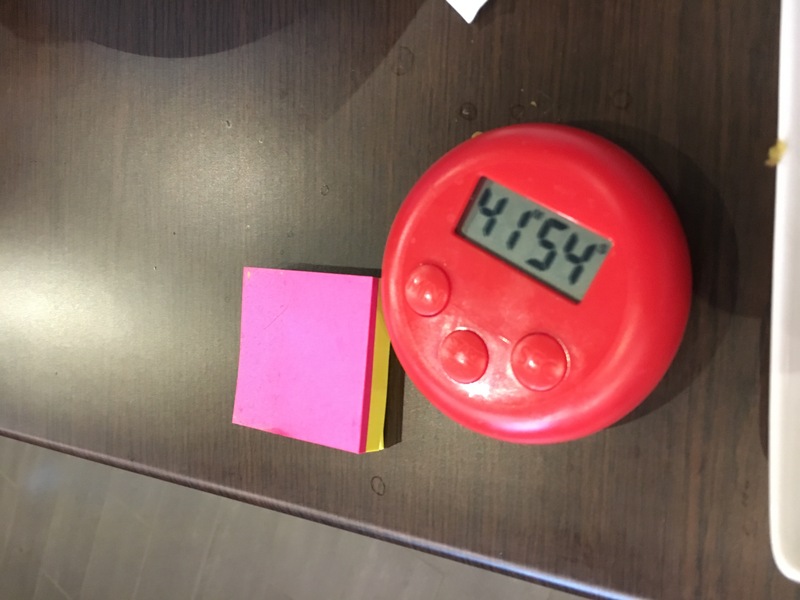 If you lose then you have to fork out £25 of the meal value. Whilst I waited for my friend’s challenge to be prepared. 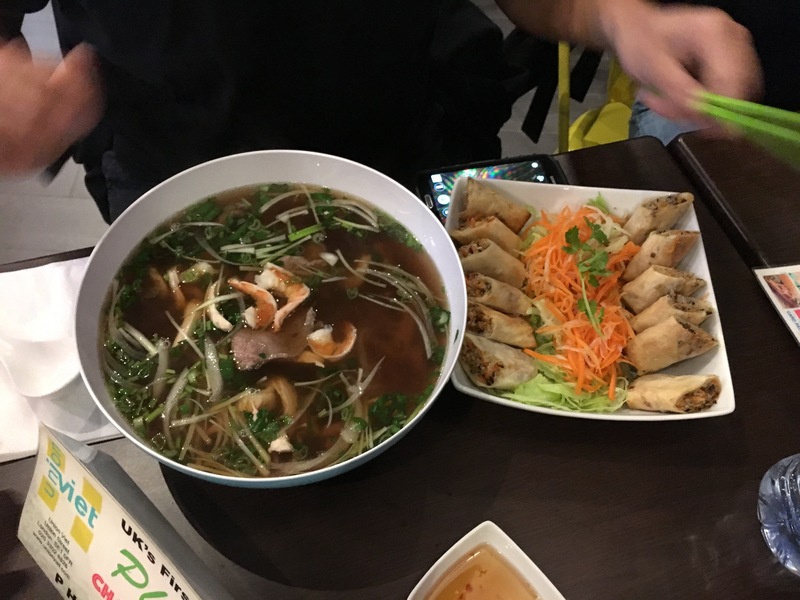 I ordered my own food, Viet Union has many of the usual Vietnamese staples, Pho, Banh mi, curries, the difference they try to make is making the food healthier. 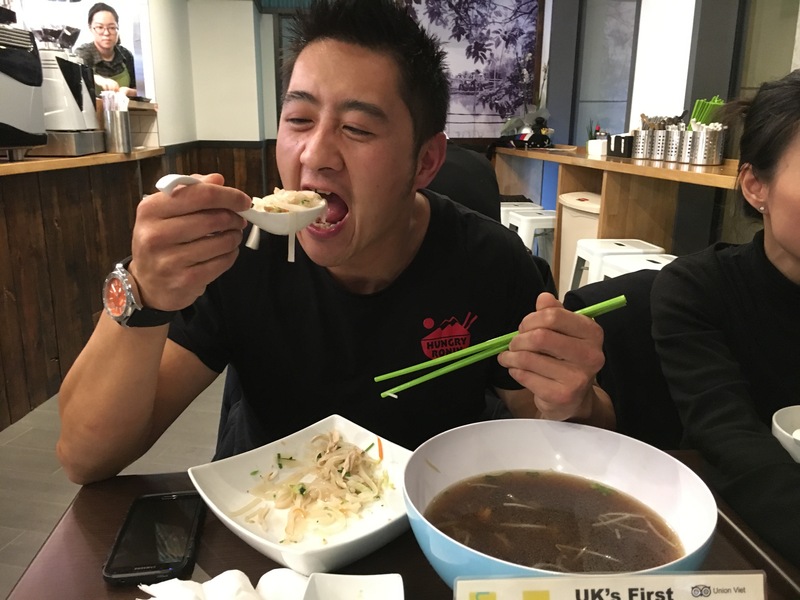 Prawn crackers, spring rolls are baked instead of being fried. 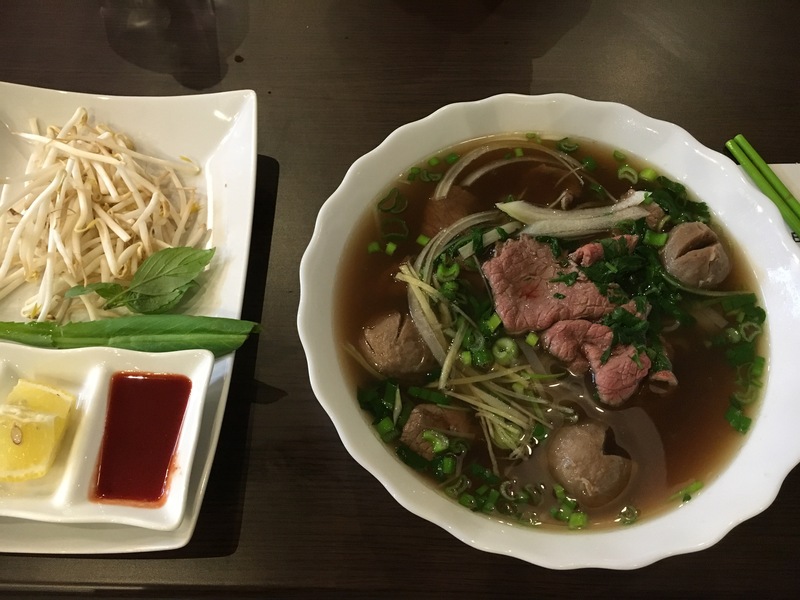 Going for the pho, there are two sizes regular (£8) or large (£9), add beef meatballs for a couple of pounds extra. 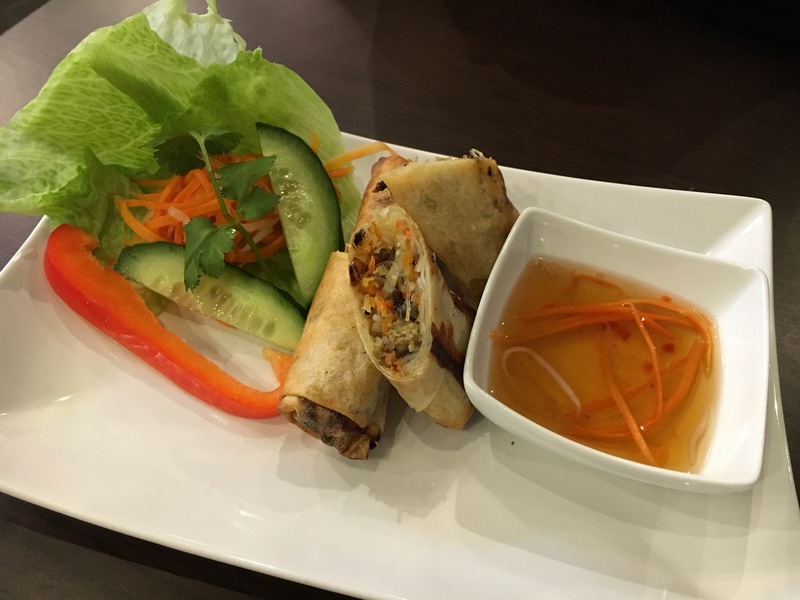 I Added the meat baked spring rolls £4.50. 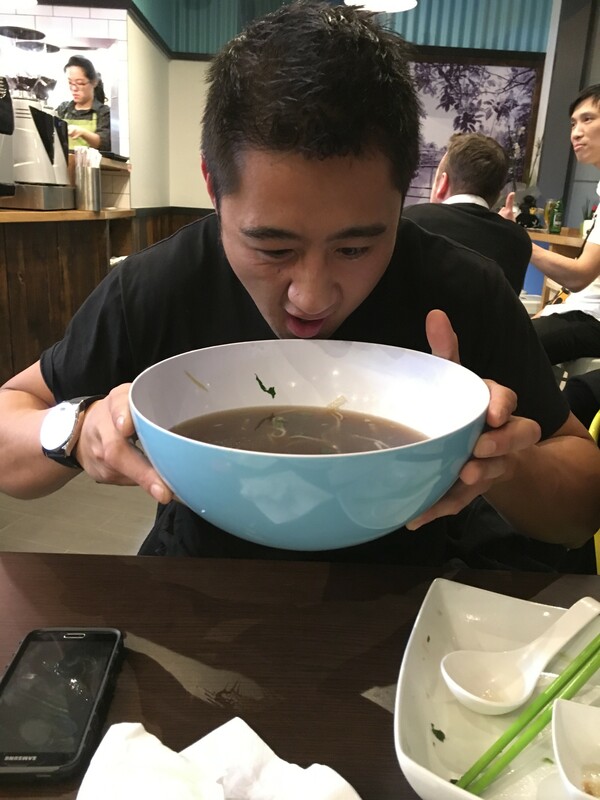 Large is the normal bowl size you get in most restaurants, soup broth has great umami flavour. 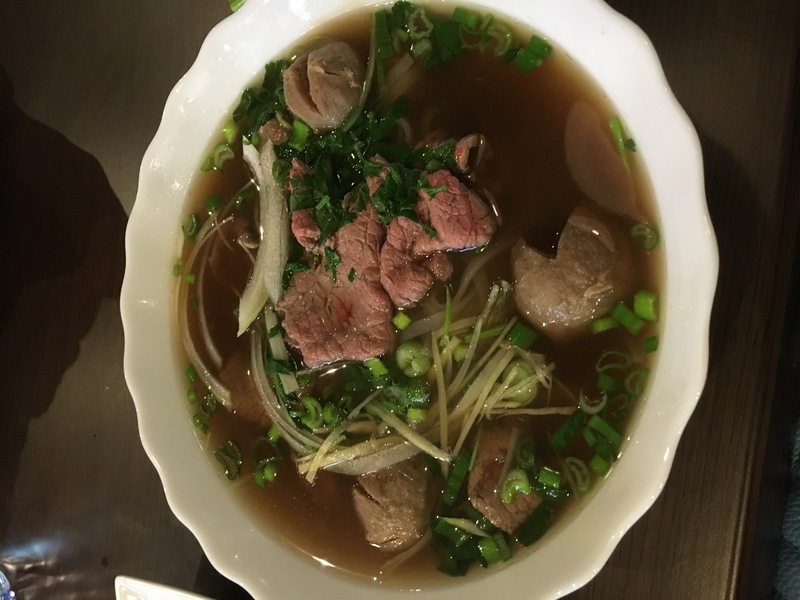 Rare beef slices are lean, beef meatballs on the other hand are slightly too rubbery. 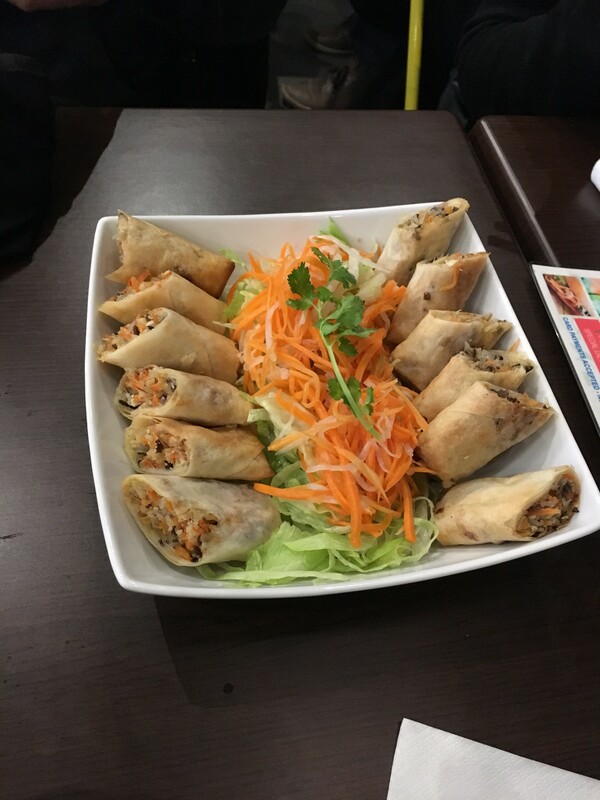 Baked spring rolls were too dry for my liking, although tasting healthier. 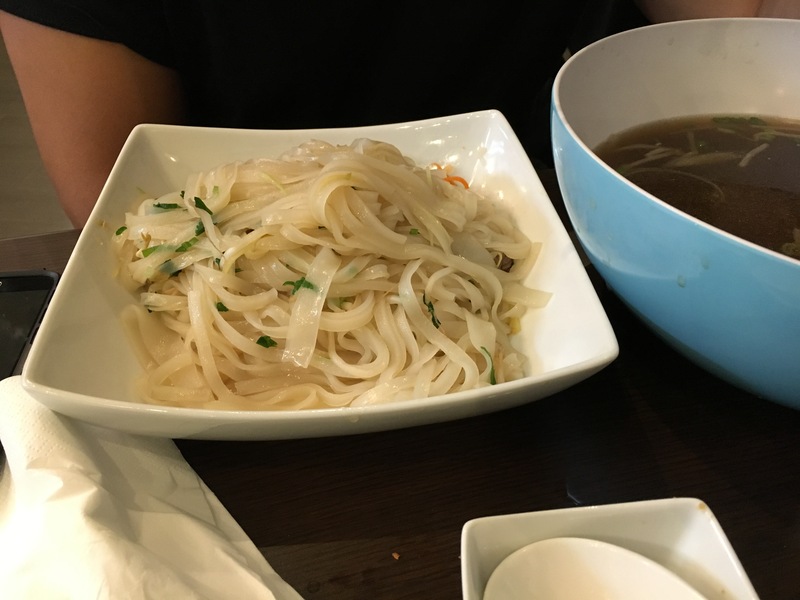 Back to my friend and his Pho Challenge. 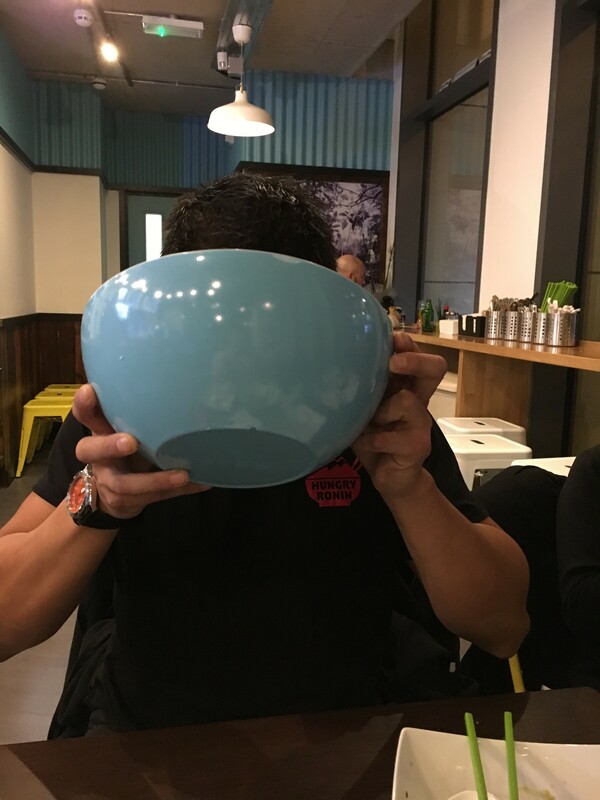 His tactics was to demolish all the solids first, all of the meats, spring rolls, salad, noodles downing the 1500ml soup last year. 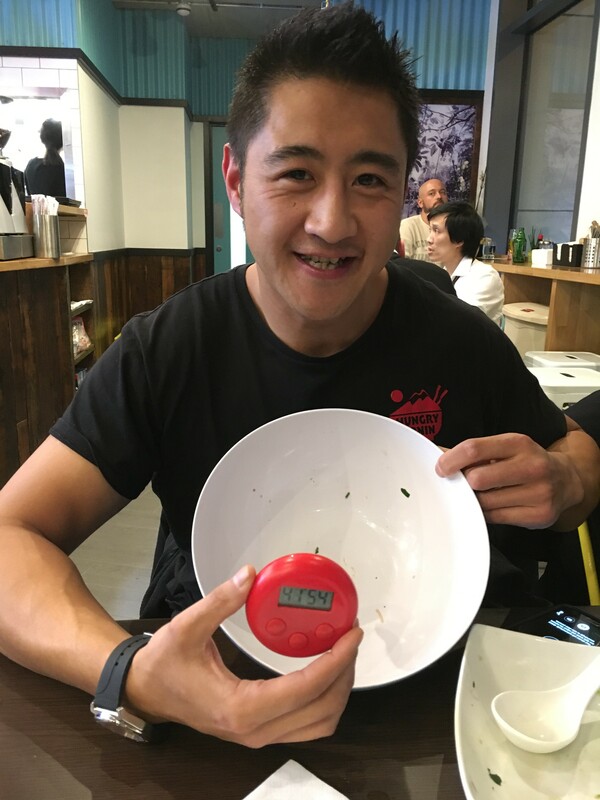 During the time he even paused to sample summer rolls, making it a easy win with 41:54 secs on the clock.